Bring the best in home baking to your family with this exceptional line of Emeril Lagasse aluminized steel nonstick bakeware. Made of aluminum-coated steel, this bakeware combines the quick heating of aluminum with the strength and durability of steel, and is finished with a silicone nonstick coating that means easy cleanup and quick release of even the stickiest foods. 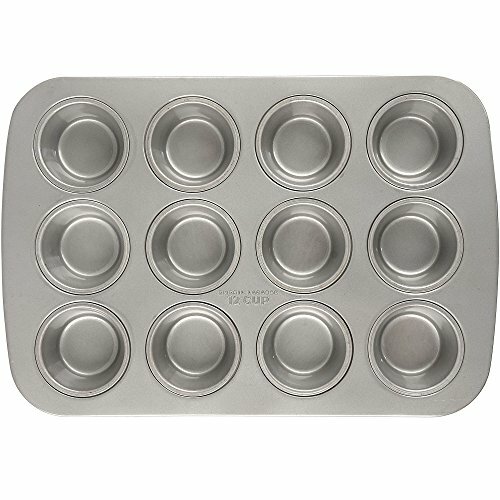 These pans are oven safe to 450⁰F and are easily cleaned up after a brief soaking using a soft, nonabrasive sponge. Rolled edges mean that these pans are less likely to warp or buckle. 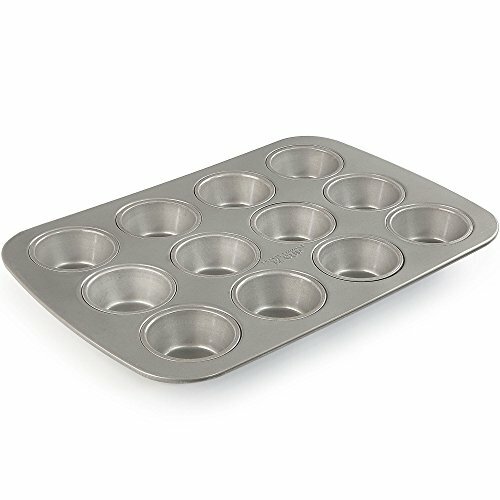 This standard-sized 12 count muffin pan is a must-have for cupcakes, muffins, and individual quiches. If you have any questions about this product by Emeril Lagasse, contact us by completing and submitting the form below. If you are looking for a specif part number, please include it with your message.